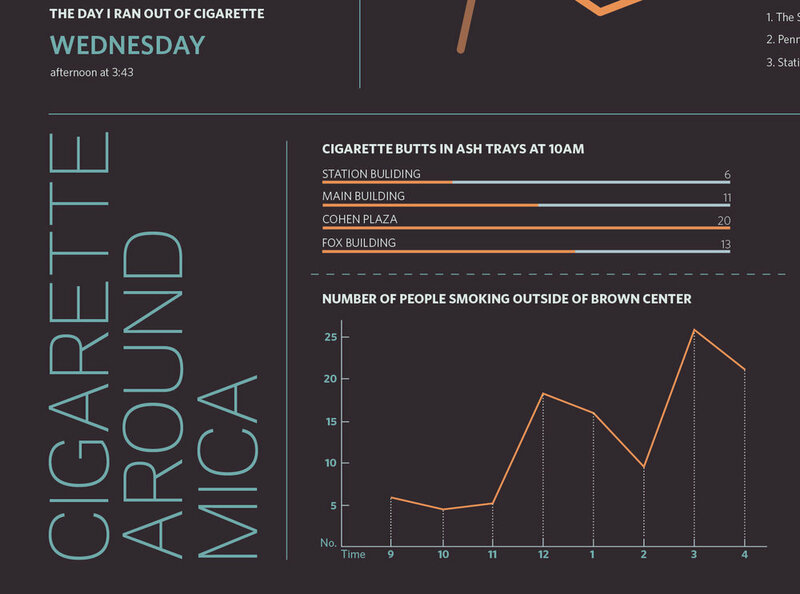 I was asked to an infographic of the datas I collect from home to MICA. Smoking has been seen so often around MICA campus. It is interesting to gather different sorts of data. By stating all the objective data here, I want to raise the awareness that there are still numbers of students smoking that has been a big part of their everyday life.